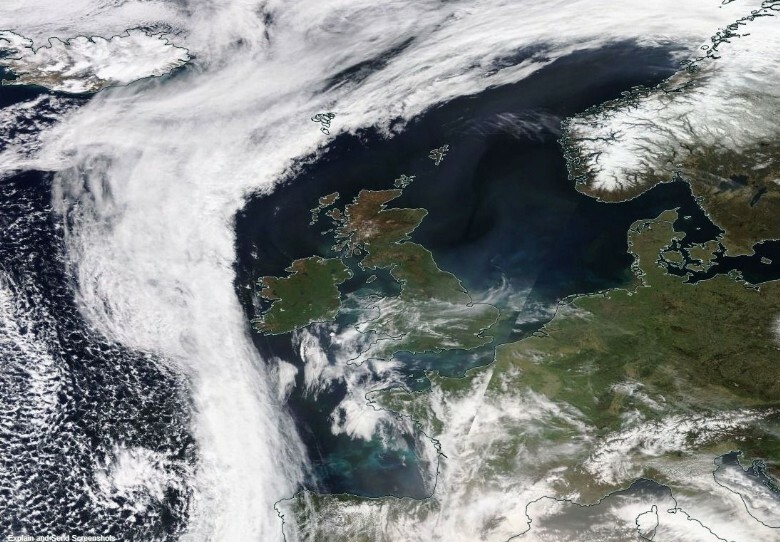 It's hard to believe that the Easter weekend is almost upon us and that the weather is looking fine, warm and settled for many regions although more changeable conditions may move into the north and west during the second half of the holiday weekend. Once again this morning starts off on a rather misty and murky note in many areas with some low cloud and fog patches around. However, some places are already starting off on a sunny note and skies will tend to brighten up fairly readily this morning as the low cloud lifts and breaks up so that by this afternoon many areas will be fine and warm with plenty of sunshine around. Some cloud will bubble up, and the odd shower could break out over central England but any showers that do develop will be pretty isolated. Top temperatures today will range from 17°C to 21°C quite widely, but it will be cooler towards eastern and north-eastern coasts with a noticeable onshore breeze. A fine and dry night follows and some patchy mist and low cloud will form again, especially towards eastern and north-eastern coastal regions, but many areas will remain clear and fairly mild. 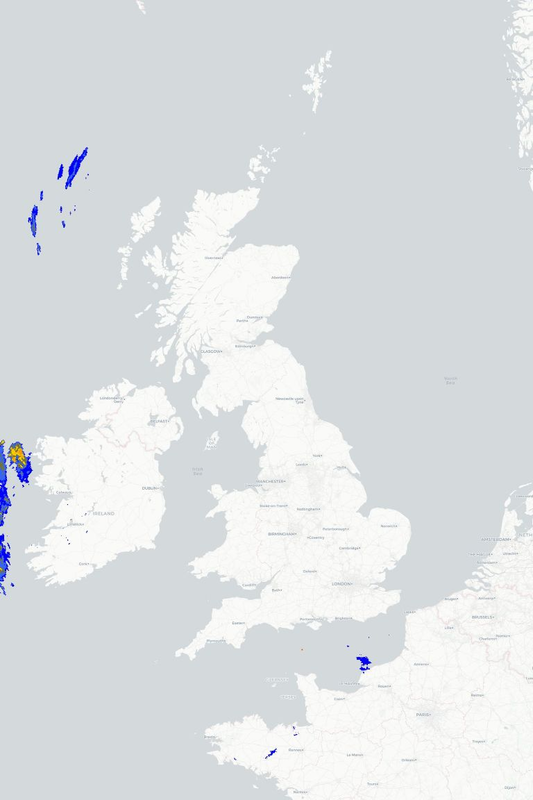 Good Friday then promises to be fine and warm across just about all parts of the country with virtually unbroken sunshine in many areas and temperatures rising into the low-twenties although coastal regions will always be that bit cooler. 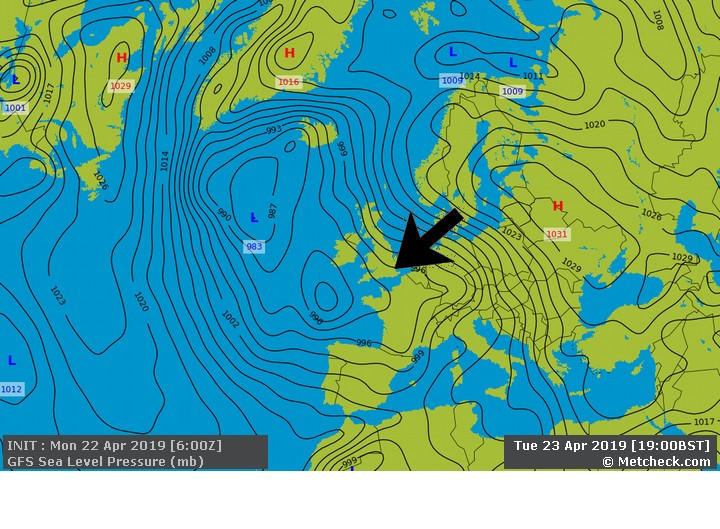 A rather interesting feature of the weather over the next few days is an Easterly, but the weather coming in from the West... Strange eh?